Founded in 1772, Ellicott City is an unincorporated community and census-designated place in, and the county seat of, Howard County, Maryland, United States. Part of the Baltimore metropolitan area, its population was 65,834 at the 2010 census, qualifying it as the largest unincorporated county seat in the country. 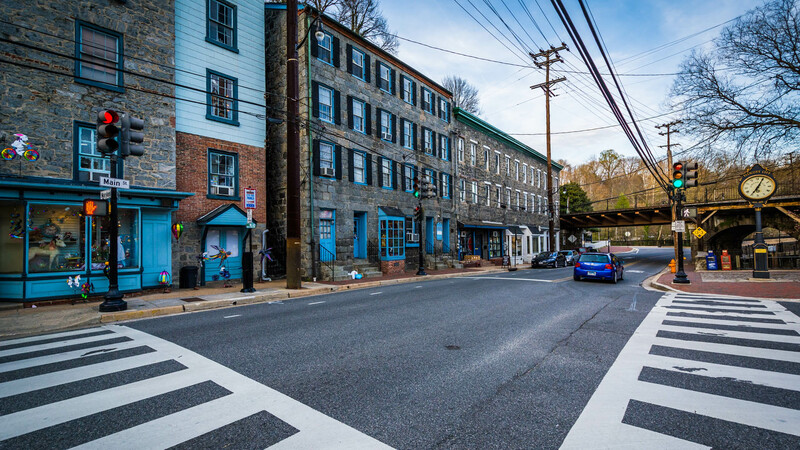 Ellicott City’s historic downtown – the Ellicott City Historic District – lies in the valleys of the Tiber and Patapsco rivers. The historic district includes the Ellicott City Station, which is the oldest surviving train station in the United States, having been built in 1830 as the first terminus of the original B&O Railroad line. The historic district is often called “Historic Ellicott City” or “Old Ellicott City” to distinguish it from the surrounding suburbs that extend south to Columbia and west to West Friendship. Since 2005, Ellicott City has been ranked four times among the top “20 Best Places to Live in the United States” by Money and CNNMoney.com. In 2009, Ellicott City appeared on Newsmax magazine’s list of the “Top 25 Most Uniquely American Cities and Towns”, a piece written by current CBS News travel editor Peter Greenberg. In determining his ranking, Greenberg cited the appeal of Main Street, among several other factors. Ellicott City has been called one of the most haunted small towns on the East Coast. The Howard County Tourism Council runs a Ghost Tour that visits several places with reputations for paranormal activity. Among these are the mansions Lilburn, Hayden House, and Mt. Ida; the B&O railroad bridge that crosses Main Street in the center of the town; the old Ellicott City Firehouse; and the Patapsco Female Institute.